2FOG's Pub will be open for a special Mother's Day Brunch on Sunday May, 13th 2018! We will have special hours from 10AM to 3PM which will allow our employees to enjoy the rest of the day with their friends, family and loved ones! 5 courses: 5 different ice cold beers that Bell's has to offer and 5 amazing food pairings, created by our one of a kind Chef, just for this occasion! If you've been to any of our other beer dinners, you'll know you don't want to miss this one! $40 Per Person, contact us today to reserve your spot! Come join us to celebrate St. Patrick's Day 2018! We will start our Saint Patrick's Day specials on the Thursday leading up to the great green celebration which lands on Saturday, March 17th, 2018! Come join us for an Oktoberfest Dinner at 2FOG's Pub! Tickets for this event will be $40 in advance and $50 at the door while supplies last. Be sure to give us a call at (517) 518-8056 or stop in today to get your tickets...they will go fast! Come out and celebrate Rock the Block with us here in downtown Howell. There will be fantastic live music in our private courtyard. We will also be serving one of our "bites", along with a cocktail special. More details to follow as we get closer. The bands are still being lined up and we will post those as soon as we know. June 7th will be the first of three Wednesdays known as the Rock the Block Event in downtown Howell. Come on out to listen to fantastic music in our private courtyard, while trying one of our "bites". We will also have a cocktail special during the event. Celebrate the anniversary of the last day of 14 LONG years of Prohibition. For those of you that wait all long for October for tasty pumpkin beverages.... join us for some delicious pumpkin cocktails, food and decorating. We will provide the mini pumpkins! The 7th annual September Stroll Restaurant Crawl will take place on Wed., September 21. The Stroll is a fun evening offering the opportunity to taste food samples at many of the restaurants in Howell. We will have traditional New York style cheesecake "bites" with either chocolate sauce or mixed berries. And for those participating we will offer $3 Short's Local Light draft beers and $4 "Fall Fizz" cocktails. Hope to see you! Celebrate National Beer Lovers Day at 2FOG's Pub! 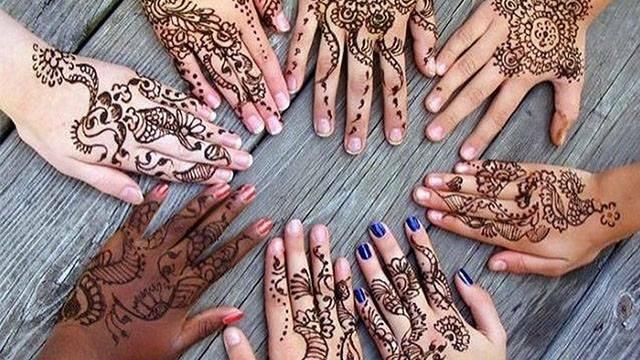 Join us Wednesday, August 31st for Henna from Ms. Chelsea Holladay. As you are dining and/or enjoying beverages she will be drawing small Henna designs for any guest who would like one, paid for by 2FOG's Pub. To celebrate 2FOG's being the Face of Back Alley Sophistication... we would like to have a party with our patrons, friends & family... without whom we would not be here. In honor of the Faces of Detroit being done in black and white so shall our party! Wear any combination of black or white or black & white (casual or formal, whatever your heart desires). Plan for a night of good drinks, good food and good company. The third, and final night of downtown Howell's Rock the Block Event. More details on band locations, musicians playing, etc... to follow.